Glen Allen Grounds Management is a full service landscaping and grounds management company located in Richmond, Virginia. We focus and specialize in residential grounds maintenance, new landscape construction, and small commercial grounds maintenance. Started by two young entrepreneur's, the team at Glen Allen Grounds wanted to provide turn-key solutions to residential customers with regards to grounds maintenance, while also being their go-to provider for their new outdoor enhancements. 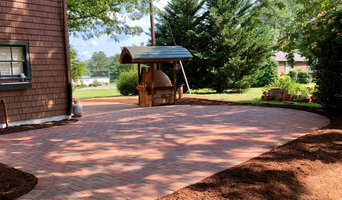 Whether it is a small landscape clean-up, or an extensive outdoor living space, Glen Allen Grounds has the passion and team members to bring your ideas to life. Contact Glen Allen Grounds today to schedule your next consultation! For over 14 years Commonwealth Curb Appeal has provided superior outdoor living lifestyles from conception to completion. Our mission is to help our clients enjoy their outdoor spaces more without creating any hassle to their existing lifestyle. Whether it's nights spent by the fire, BBQ'ing with family, or reading your favorite novel while you relax by the pool, our goal is to get Richmond Outside! And while we're doing that, we want each step of the way to be just as enjoyable as the finished product! We take pride in building our relationships with clients and will do whatever it takes to provide the best value added service in the industry. That's why we, at Commonwealth Curb Appeal, are more than proud to stand behind our motto, "Value...Set In Stone. 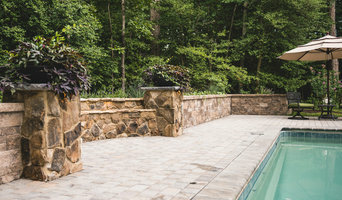 At Appomattox River Landscapes, we partner with each homeowner to design and create a unique outdoor living space tailored to meet their individual needs and improve their property value, all at a competitive rate. Our core values are accountability, honesty, quality, and trust. CARVILLE LANDSCAPE CO. is a design/build landscape company specializing in exceptional landscape design, installation and hardscape services for residential and commercial properties. With more than 25 years of design/build experience we are committed to creating an outdoor living space that compliments your personality and lifestyle. From installing an outdoor gourmet kitchen or living room complete with fireplace to designing a secret garden or tropical landscape, let CARVILLE LANDSCAPE CO.'s dedicated team bring your vision to life. The first step in creating a beautiful outdoor environment is to develop the plan - THE LANDSCAPE DESIGN. Whether your project is large or small, simple or complex, a plan keeps you on track and saves you money. Landscaping is an investment in your property that grows more valuable each year. Create it right the first time! I want to share my 34 years of experience with you. My work has been primarily in the residential sector, but I have done plenty of commercial projects. There are many aspects of developing the grounds for a property that are only learned by doing. I want you to be able to gain this extra depth of knowledge from this web site. Explore these pages to learn the process of developing beautiful gardens for your property. This information is valuable to the do-it-yourselfer or the person who is preparing to hire a professional. Greensward LLC creates outdoor living spaces for discerning clients in Northern and Piedmont Virginia. A licensed Landscape Architect develops designs and plans for our clients and our crews of craftsmen build the spaces using high quality materials and standards. Greensward LLC holds a class A Building Contractor's License and a horticulturalist is also on staff. Greensward LLC builds outdoor kitchens, patios, pool decks, pavilions, pergolas, gardens, driveways, custom decks and more. 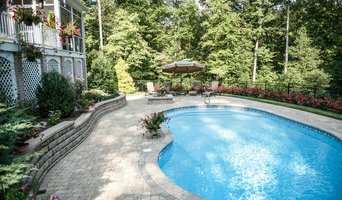 Greensward LLC also collaborates with a custom pool builder. 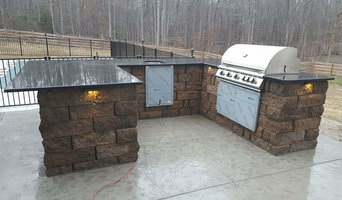 Greensward LLC works with a broad pallet of natural stone, exotic lumber, composite materials, and metals combined with old and modern construction techniques to deliver unique spaces for our client's enjoyment. Virginia Certified Horticulturist, Patrick Morrissey, has been servicing his community for over 30 years by developing and maintaining healthy, eco-friendly gardens and ponds. His knowledge has made Gardenworks one of the best garden and water feature service providers for the past 15 years. Gardenworks Landscape Services LLC specializes in garden maintenance, pond maintenance, pond installation, water features, outdoor lighting, landscape installation, patios and walkways. Stone Earth & Water is a full service landscaping company. We provide the highest quality products and most skilled support staff to ensure your property always looks its best. We take a caring, holistic approach to providing expert landscape care to maximize the enjoyment of your property. *Belgard Authorized Contractor* Our friendly staff is here to serve you. We strive to provide our clients with the best service and craftsmanship for their projects. All Seasons Landscaping is a licensed, insured, full service landscaping company operating in Fredericksburg, Spotsylvania, Stafford, King George and Prince William Counties. We are committed to providing excellent customer service. Our mission is to provide top-notch landscape services at a value to our prospective clients as well as our return clients. "WE BUILD HONESTY, INTEGRITY & VALUE IN EACH LANDSCAPE." Horticulture & Turf has fascinated Nicholas Lopez, Perfect cut's founder, as long as he can remember. From the time he could toddle, he spent his time outdoors collecting "specialmens" (as he called them). As he got older, his interest in the beauty grew into an obsession: He knew he'd found his life's calling. After he started picking up small jobs for neighbors he knew he couldn't spend his time in an office. Wanting to get his hands dirty once again, He started Perfect Cut Grounds Maintenance LLC., specializing in creating & maintaining beautiful landscapes for a variety of customers. We offer our customers premium work at an affordable price. We have developed a reputation for outstanding work in a timely fashion and customer satisfaction is our #1 goal. I enjoy working with customers and bringing them quality work that exceeds expectations. With over 20 years of hands-on experience! I also hold 2 landscaping installation certificates. Lewis Turner is one of Meadows Farms’ top landscape designers with extensive horticultural knowledge of trees, shrubs, perennials and turf. Lewis integrates hardscape and softscape designs with the individual’s taste and budget in mind to create unique outdoor settings. Lewis’ training and more than 20 years of experience allow him to create spectacular and unique designs. If you decide to contact Lewis, this is what you can expect from years of experience: Custom and individualized design. Creative, low maintenance design based on the foundation of experience and simple elegance. + In-house crews skilled in a wide variety of Hardscaping and Softscaping. + Solid economical solutions when your project is practical in nature; for example drainage, erosion, grading, walls, screening, windbreak and other engineering issues. + One stop shopping, most estimates are completed the same day. + The best plant warranty in the industry. + Fair, competitive pricing giving superior value backed by an ethical management team with your satisfaction the primary goal.